BRM Institute is the world’s first Business Relationship Management professional association. We strive to provide our members and customers with the top products and services available and recognize that building a long-term business relationship with you depends a great deal on trust. This trust is founded by BRM Institute’s Code of Conduct, which sets Expectations and Responsibilities of Board members, Directors, Officers, Employees, Contractors, and Volunteers. Treasuring and valuing cultures, opinions and contributions, particularly in light of our global reach. Recognize accomplishments of the employee, contractor and volunteer bodies and the parties who contribute to them. Additional policies and procedures may be added and/or changes made to this list (and its contents) from time as required by BRM Institute’s needs. Please stay abreast of these policies/procedures and let us know if you have any questions. Become familiar with BRM Institute’s strategy and your role in supporting the strategy. When required, attend and participate in meetings (in person or remotely, as appropriate). If you are a volunteer, BRM Institute recognizes that you act as a volunteer and that your professional or personal commitments may prevent you from attending. Please inform the appropriate person when you are unable to attend. Participate constructively during meetings and activities. 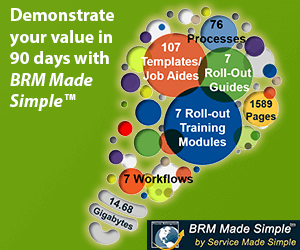 Make constructive suggestions to improve the process and BRM Institute’s goals. Respect and support decisions made including decisions for which you have a different opinion. We thank you for your contribution and participation and set forth this Code of Conduct as a framework to promote excellence and exemplary conduct among everyone who works for or/and contributes to the Institute and helps to fulfill its mission.